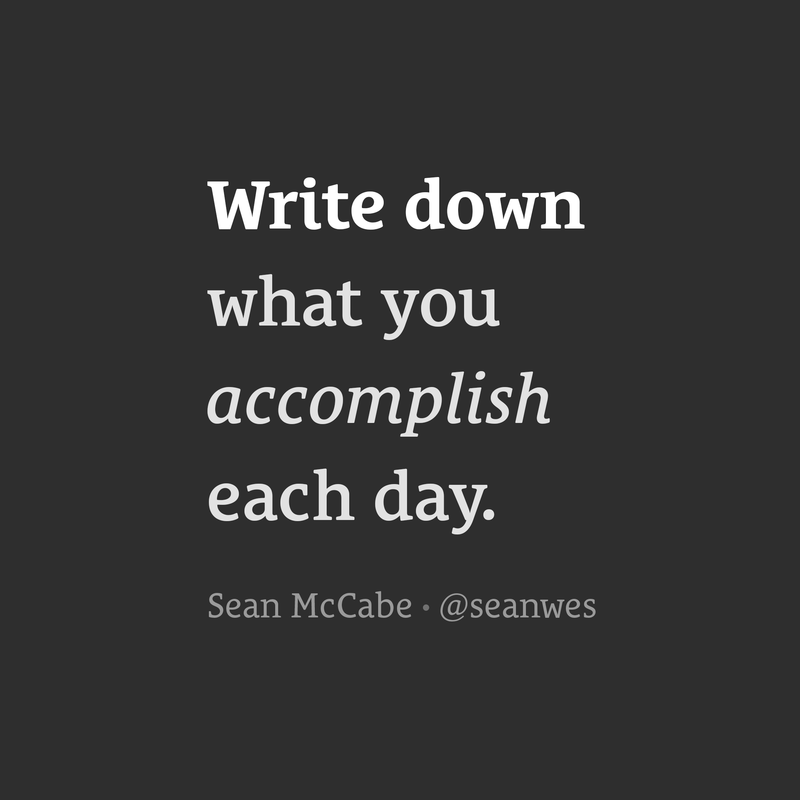 Write down what you accomplish. Do you ever get to the end of a day where you’ve just been going and going, but you still feel like you didn’t do enough? If you feel like you didn’t do enough, chances are you don’t actually know what you did. This is partially a matter of needing to define “enough” for each day (we’ll get to that in a moment), but it’s also often a lack of awareness. You likely accomplished quite a bit, but you took many of those things for granted. Write down what you accomplished each day to increase your awareness. Seeing a list of everything you did today may surprise you. Rather than focus on tasks left undone, recognize the things you did. I like to start my day with a task list. At the end of the day, I can see everything I checked off. But if you didn’t start with a list, there is no shame in writing a task you just completed and immediately checking it off. Not only does it feel great, it provides a record of what you accomplished. There will always be more work to do. At some point, it’s time to leave the rest for tomorrow and acknowledge yourself for doing enough today. But how can you know? What is enough? You wouldn’t run a race without knowing the distance ahead of time. The same goes for your day: what is enough for today? What is enough for tomorrow? You have to define what a successful day looks like for yourself. You may think you’re just hard on yourself, but you’re probably trying to live up to an expectation someone else instilled in you. Who put that expectation there? You are enough no matter what you accomplish today.